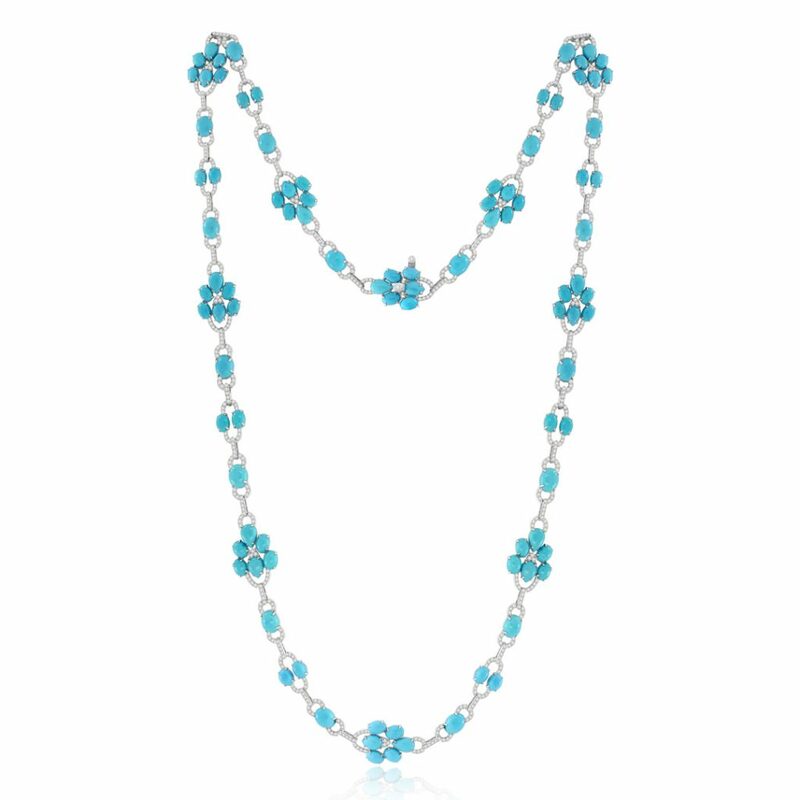 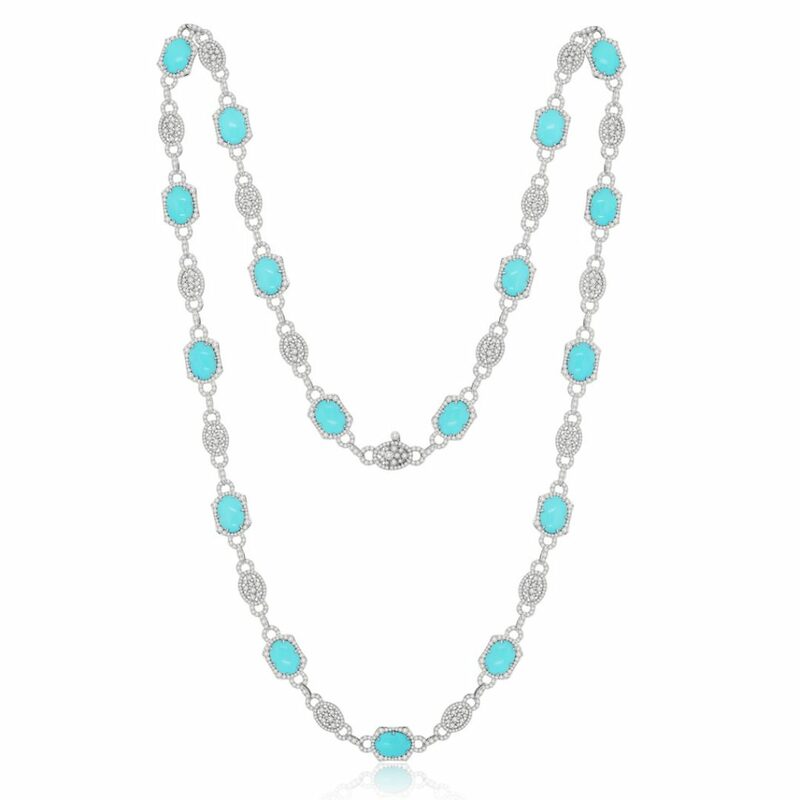 Seventeen large turquoise stones and white diamond melee will surround your neck with this amazing necklace from Sutra. 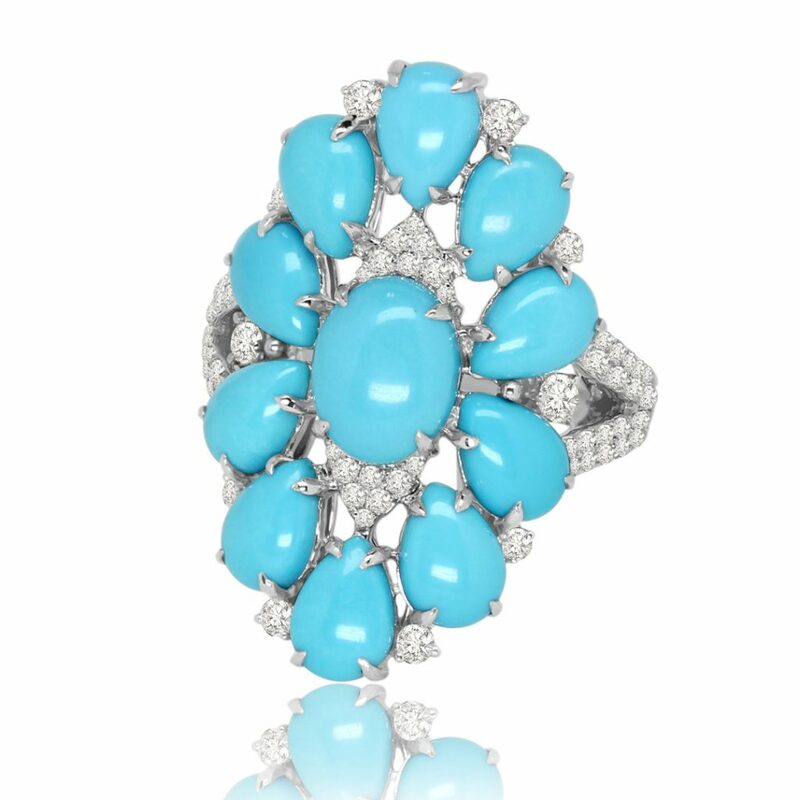 A celebration of rich color. 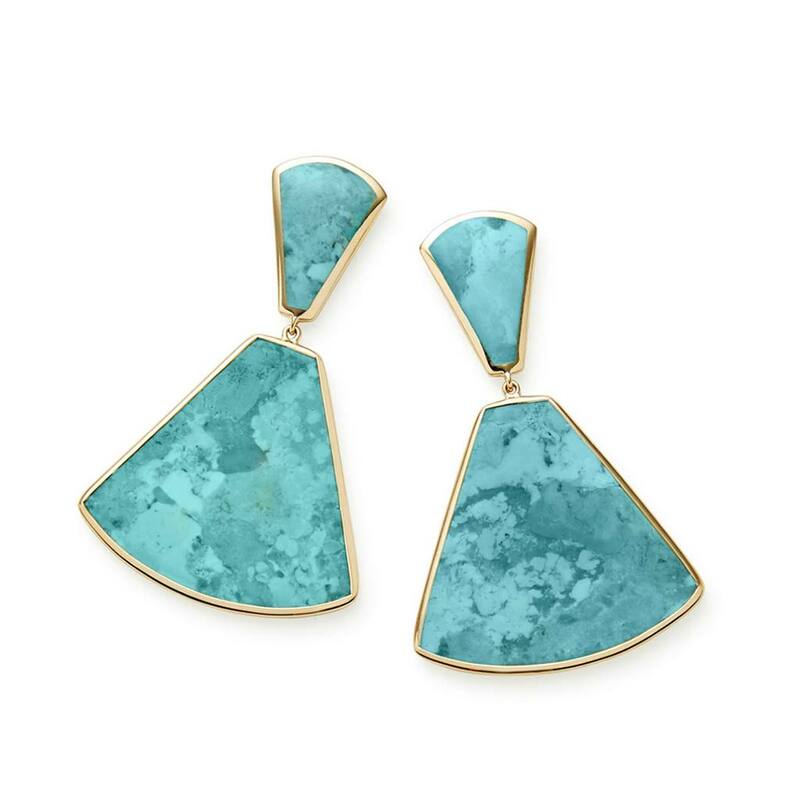 Naturally vibrant gemstones are layered together to create doublets and triplets for brilliant hues unique to IPPOLITA. 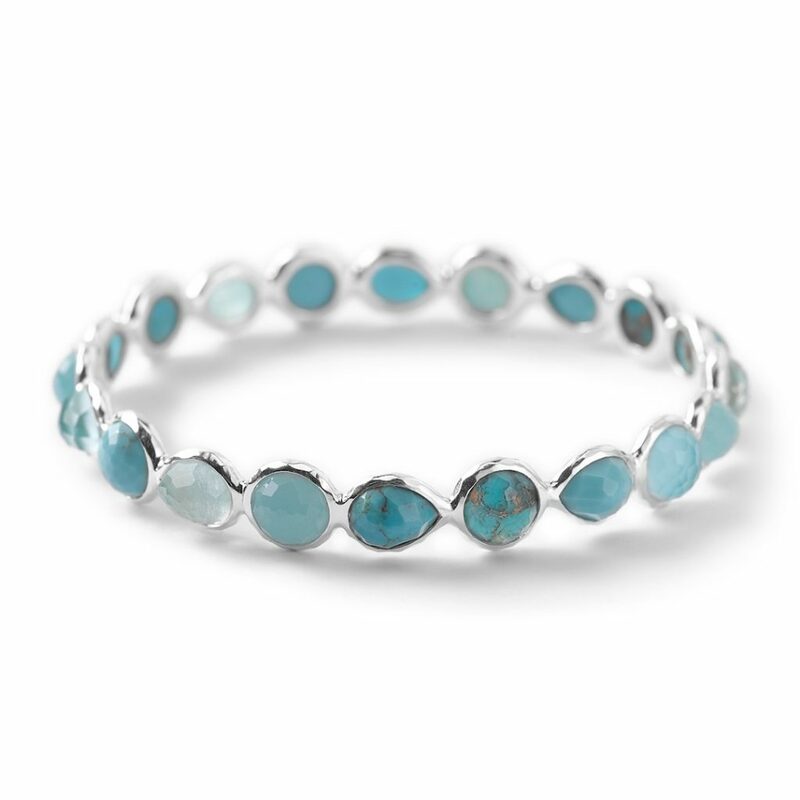 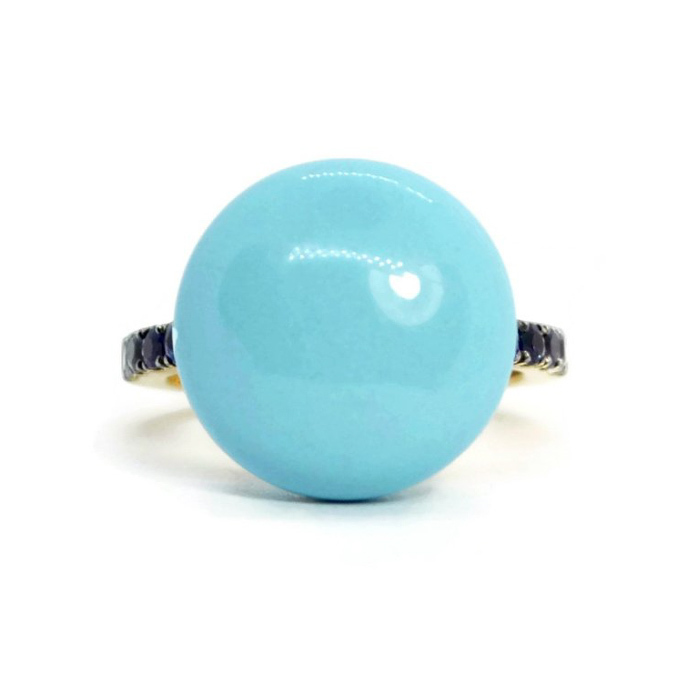 Turquoise, Clear Quartz and Bronze Turquoise Doublet, Blue Amazonite, Clear Quartz and Larimar Doublet, Clear Quartz and Turquoise Doublet complete the bangle.. 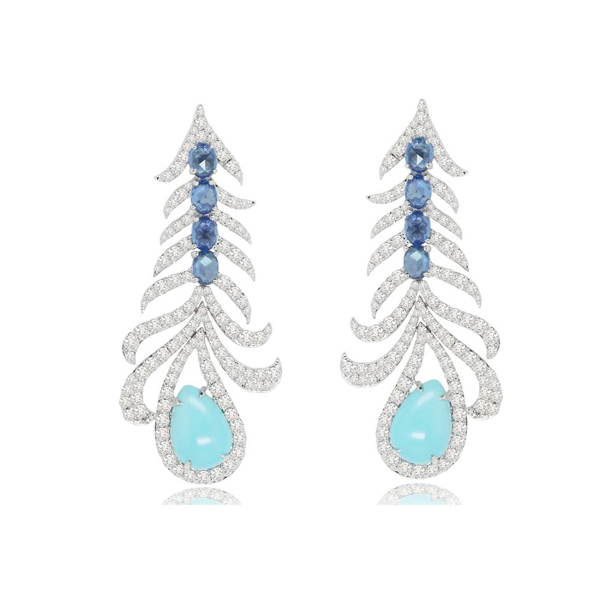 This pair of 18k white gold earrings is set with 2.31 ct. of round brilliant diamonds, 3.02 ct. of pear-shaped turquoise and 1.55 ct. of oval sapphires.